The postcranial palaeoneurology of fossil reptiles is understudied, and those studies that exist focus predominantly on crocodyliforms and dinosaurs. The intervertebral foramina of the spine house nerves that exit to innervate surrounding tissues and the extremities. In the heavily fused (and typically distorted or poorly preserved) pterosaurian sacrum, intervertebral foramina can be difficult to observe and are rarely identified. The Early Cretaceous azhdarchoid Vectidraco from the Isle of Wight, UK, exhibits large, paired foramina on each sacral vertebra, originally identified as pneumatic foramina. Micro‐computed tomography imaging reveals these communicate with the neural canal and are intervertebral foramina for sacral nerves. The sacral vertebrae of Vectidraco are fused, and intervertebral foramina occur dorsolaterally on the centra. We identified these structures in other pterosaur sacra, including those of the ornithocheiroids Anhanguera and Coloborhynchus. The sizes of the sacral and notarial neural canals are compared and considered within interpretations of palaeoecology and locomotion, following previous studies. The relatively large sacral neural canal of Vectidraco implies a sacral enlargement for innervation of the legs and lumbosacral plexus. When compared with Anhanguera, this supports indications that azhdarchoids were more hindlimb‐proficient than ornithocheiroids. Neural canal size in the Coloborhynchus notarium suggests that ornithocheirids spent less time on the ground, their brachial enlargement and small sacral region indicating enhanced innervation of the wings and poor innervation of the sacrum and legs. 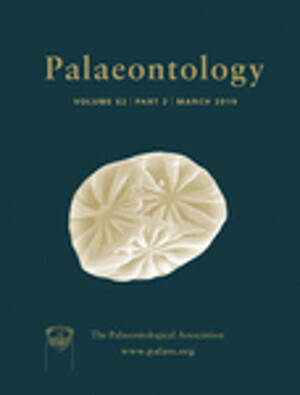 This is the first study focusing on pterosaur postcranial palaeoneurology; more studies on other taxa are needed to reveal patterns across Pterosauria as a whole.